Please check out the virtual tour we worked on for the new site. It is one of the highlights of the redesign. 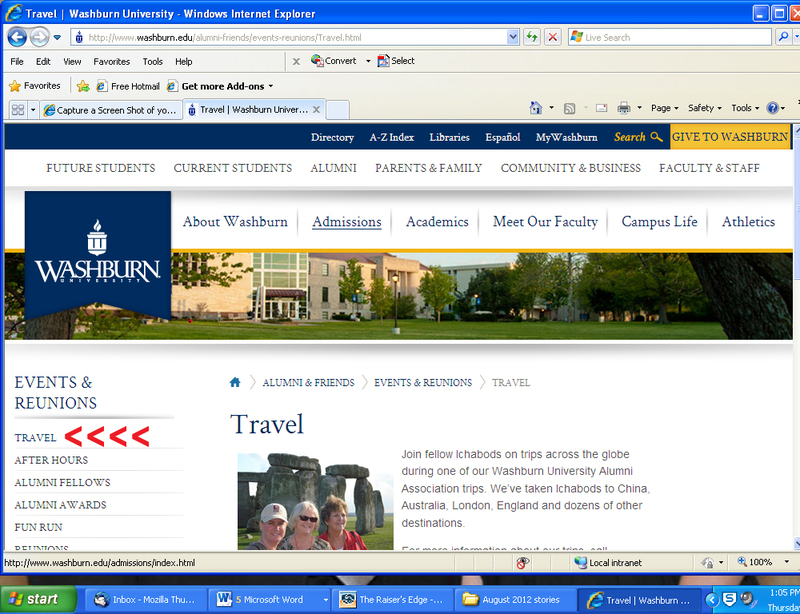 The faculty page. Part of the improved navigation is an easy-to-search database for our faculty. The profiles include photos, academic background and links to their personal webpages. Social media. Every alumni page contains social media feeds for Facebook, Twitter, YouTube and Flickr. The latter two I’ve recently added so that you’ll have access to our videos and photos. These will grow over the next few months. I’ve also made playlists on YouTube, which should make it easier for you to find videos from specific events, such as the Alumni Awards banquet. Alumni directory. Please take note of the message on our webpages about the directory. You should have received a yellow postcard asking you to verify your information at 1.800.473.6875. If you want to purchase a directory, they will advise you of your purchase options. Feedback: Questions, thoughts or observations on the new website? Send me an email.